did you know there are some food places that have special off-menu items for dogs?! how awesome is that! these are the favs of my 2 pigs – who now get excited pretty much any time we get in the car! 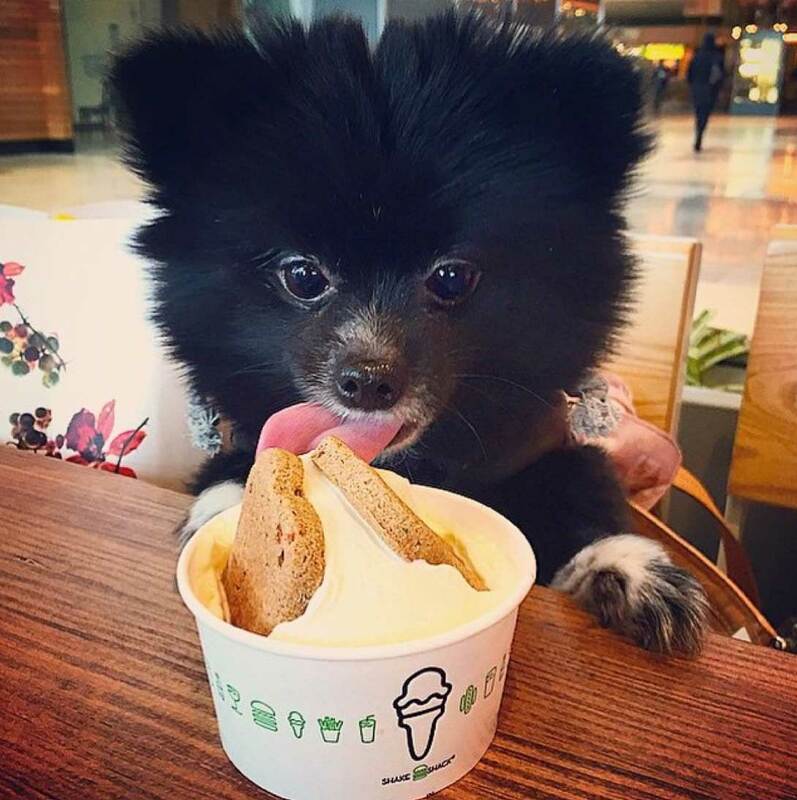 (though they have to do a bit of exercise after these fast food treats…) shake shack – besides having amazing burgers for humans, they have a few items for dogs which are amazing! the pooch-ini has custard, a dog biscuit & peanut butter sauce. they also have dog biscuits made by bocce’s bakery, called a bag o’ bones. sprinkles cupcakes – has a dog only cupcake! it’s even sugar free! in-n-out – we all know that in-n-out has an extensive secret menu. what i didn’t know is that they had something for my 2 best friends (bean & pickle.) 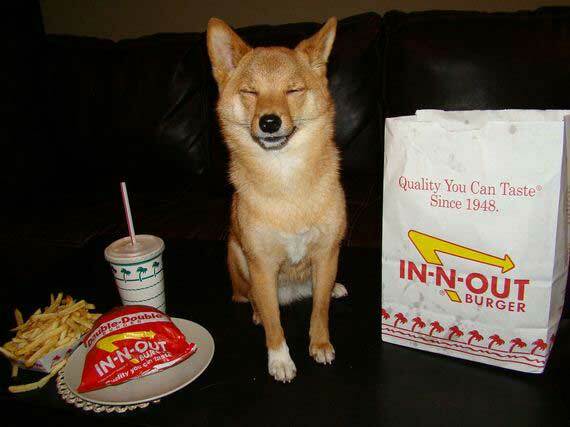 order a “pup patty” next time you are there to get your dog an unsalted & unseasoned hamburger patty.